An elderly man who suffered cardiac arrest after being robbed in the town centre has died. 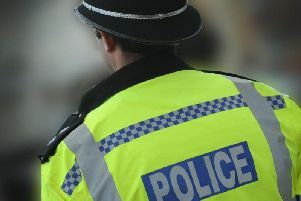 Police said the 77-year-old was believed to have been involved in an altercation close to the public toilets near Marks and Spencer in Crawley town centre on Sunday afternoon (July 22). A little later - just before 3.50pm - paramedics were called to The Boulevard after the man fell from his mobility scooter. An Air Ambulance was called and he was flown to St George’s Hospital, in London, in a serious condition. Police said he died later that evening. Officers have launched a manslaughter investigation and three people have been arrested. A 36-year-old man, from Crawley, and two men, aged 41 and 25, both of no fixed address, were arrested on suspicion of robbery and have since been further arrested on suspicion of manslaughter. They remain in custody. Anyone who witnessed the incident or has any information about it or those involved is asked to report online or call 101 quoting Operation Salzburg.